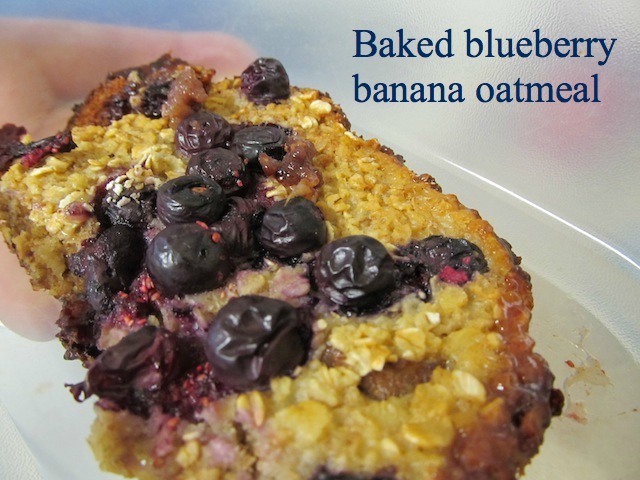 Baked banana, blueberry oatmeal! Yes, it's worth an exclamation point. I am literally exclaiming about baked oatmeal. It is creamy and hearty and delicious and pretty healthy. The banana and blueberry pairing balance each other out very well. To make it even better I made mine with blueberries my Daddy grew. Why do free blueberries taste better? Preheat your oven to 375 and grease a pan. Layer the bottom of your pan with bananas and half your blueberries. Drizzle with honey and sprinkle with cinnamon. Place in your oven and let bake for 15 minutes. In a bowl combine your oats, the rest of your cinnamon and baking powder. Mix. Sprinkle over blueberries and bananas. Then, you can use the same bowl your oats were just in, mix your milk, eggs, and the rest of your honey. Pour over the fruit and oats mixture as evenly as you can. Then sprinkle with blueberries. Bake for 30 minutes. It will serve 4 - 6 and be so warm, moist and delicious. This is a great recipe for company or brunch or just breakfast for the family. Aren't you glad I said (chocolate) banana smoothie? What is more delicious than a chocolate shake? Two chocolate shakes? Three maybe? Ah... frozen chocolate blended with dairy and whipped to a frenzy. But my pre pregnancy pants are loose, and I prefer them to stay that way. What is a chocolate lover to do? Improvise of course. 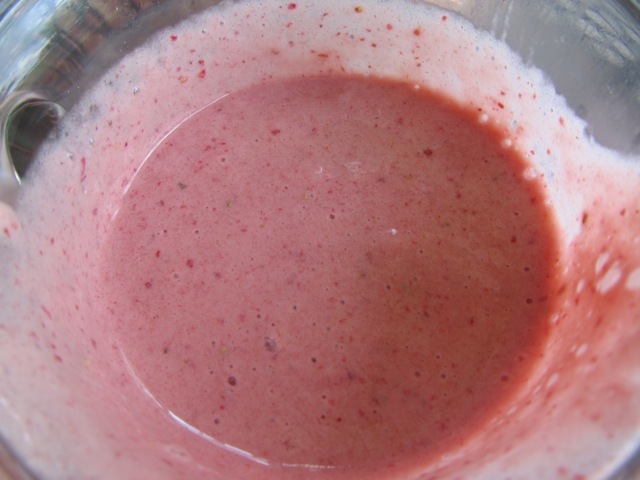 Here I bring you a rich, delicious, light and cheap -about $.90- (don’t you just love cheap) smoothie that you and the kids will love. It is one “Smooth Operator.” What? You don’t like Sade? Okay, it’s a “Smooth Criminal.” Alright, alright. I’m not funny. I will stop now. 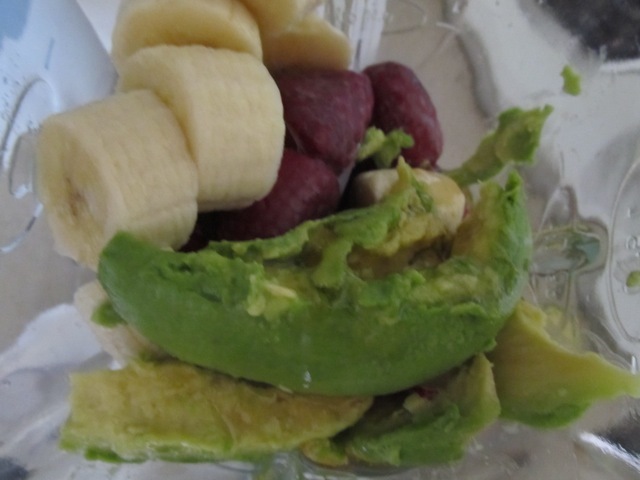 Place your frozen banana in your blender with your yogurt and cocoa and blend until smooth. That’s it. You’re done. I know. I can’t believe it either.